Finding quality scholarships for homeland security majors is easier than ever before. With the growing threat of ISIS terrorist attacks and natural disasters, homeland security is becoming one of the fastest-growing criminal justice careers. Homeland security is a concerted field focused on thwarting threats to make the United States as safe, secure, and resilient as possible. Since 9/11, homeland security experts have been in high demand at federal, state, and local government agencies as well as private companies. In fact, the U.S. Department of Homeland Security (DHS) has over 200,000 employees alone. 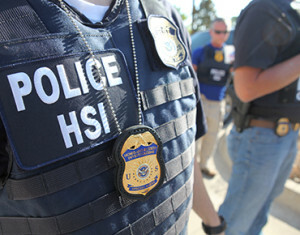 Homeland security graduates could become border patrol officers, intelligence agents, emergency management directors, cyber security professionals, criminal investigators, customs officers, mission support specialists, etc. If you want to join our nation’s first line of defense, below are 25 great homeland security scholarships to lower your training costs. Sponsored by Booz Allen Hamilton, the AFCEA Cyber Studies & Intelligence Scholarships are awarded for $2,250 to $5,000 annually to five students pursuing a major in cyber security, homeland security, intelligence studies, computer science, or electronic engineering. Eligible candidates must be U.S. citizens, be enrolled at a four-year accredited college, carry a minimum overall GPA of 3.0, and wish to work in America’s intelligence or homeland security enterprise. In honor of U.S. Bronze Star recipient who died during Operation Iraqi Freedom in 2003, the Army Staff Sgt. Richard S. Eaton Jr. Scholarship is granted for $1,000 annually through the Lint Center for National Security Studies Inc. Eligible applicants must be enrolled full-time at an accredited college studying homeland security, counterintelligence, military science, alliance building, or a related field. Writing a 600-800 word essay outlining a critical national security issue is mandatory. At Eastern Illinois University, the Caterpillar Homeland Security Scholarship presents $1,000 annually to five full-time undergraduate or graduate students who are pursuing the homeland security degree or certificate. Qualified recipients must have completed one or more courses related to homeland security, maintain a minimum GPA of 2.75, display leadership qualities, have completed 45 credit hours, and excel in civic engagement. Awards are payable one-half in the fall and one-half in the spring. The Association of Former Intelligence Officers (AFIO) created the Colonel Sully H. De Fontaine Scholarship to provide $1,200 to U.S. citizens in their sophomore or junior year who are pursuing a bachelor’s degree in homeland security to eventually seek employment within the intelligence community. Applications must include a current resume, academic transcripts, one recommendation letter, a recent photograph, and a brief cover letter highlighting career goals in protecting national security. Annually, the Department of Homeland Security (DHS) offers $5,000 scholarships to qualifying undergraduates earning bachelor’s degrees in homeland security-related fields. Eligible recipients must have U.S. citizenship, be at least sophomores, hold security clearance, attend an accredited four-year college, and submit two reference letters. In exchange, scholarship winners must sign a one-year service contract for working at a DHS-approved facility after graduation. There’s also the 10-week National HS-STEM Summer Internship available. Established in honor of the Director of the Inter-University Center for Terrorism Studies, the Dr. Yonah Alexander Counterterrorism Scholarship is awarded for $500 annually to senior undergrad students at Western Illinois University majoring in law enforcement with a homeland security minor. Qualified candidates must be enrolled full-time, achieve a minimum overall GPA of 3.3, and demonstrate good judicial standing. Preference is given to current or former law enforcement and military officers. New York’s Westchester County awards the Edwin G. Michaelian Scholarship each year to cover 25% of tuition costs for current country employees to attend graduate courses at Pace University. Acceptable majors include public administration, computer science, public safety, homeland security, and business administration. Applicants must hold a four-year bachelor’s degree, have at least three years work experience, maintain a B+ average, and display career goals consistent with the sponsoring government. Each year, American Best Locksmith offers the Future Security Professionals of America Scholarship to award $500 to graduating high school seniors nationwide who are admitted to any U.S. accredited institution to study criminal justice, law enforcement, homeland security, or another related major. Eligible candidates must possess a minimum GPA of 2.5, exhibit financial need, strive to become a security professional, and write a 300-word career goals statement. Since 2010, the Harold Johnson Law Enforcement Scholarship has been awarded by the Silicon Valley Community Foundation for up to $5,000 to graduating high school seniors demonstrating a desire to pursue a career in criminal justice, corrections, police work, homeland security, or a similar profession. To qualify, applicants must reside in the San Francisco Bay Area, be U.S. citizens, be accepted at a two or four-year accredited college, and maintain a minimum cumulative GPA of 2.5. Ranging from $3,000 to $16,000, the Horizons Women in Defense (WID) Scholarships are presented annually for female U.S. citizens who are obtaining a bachelor’s or master’s degree in homeland security, cyber security, international relations, government, political science, law, etc. Qualified women must be at least juniors, attend an accredited university full or part-time, exhibit financial need, possess a minimum GPA of 3.25, and be committed to a career in national security or defense. The International Association of Emergency Managers (IAEM) provides an Undergraduate Student Scholarship annually for $1,000 to outstanding students pursuing an associate’s or bachelor’s degree at an accredited U.S. institution in emergency management, disaster preparedness, homeland security, or a closely related field. Applications must include official sealed transcripts, at least three references, proof of enrollment, and two well-written essay question responses on their future career aspirations. Administered by the National Organization of Black Law Enforcement Executives (NOBLE), the Irlet Anderson Scholarship Award is granted to African American high school seniors who are pursuing a degree in criminal justice, law enforcement, criminology, homeland security, or forensics. Candidates must be accepted at an accredited college, be U.S. citizens, need financial help, maintain a cumulative GPA of 3.8 or above, and submit two recommendations. At Tulane University, the School of Continuing Studies distributes the James and Alana Bishop Monaghan Scholarship annually for $500 to part-time undergraduate students who officially declare a major or minor in Homeland Security Studies. Eligible applicants must have academic merit with a minimum GPA of 3.0, demonstrate financial need, and write a 500-word personal statement highlighting their goals. More than one of these undergraduate homeland security scholarships may be offered depending on funding availability. As the most lucrative homeland security scholarships granted by the Lint Center, the Jim and Anna Hyonjoo Lint Scholarship provides $1,500 annually to a deserving undergraduate or graduate student majoring in homeland security, counterintelligence, or international affairs. Candidates write an 800-word essay explaining their thoughts on national security, which will be judged on scholarly rigor, leadership potential, creativity, and innovation. Those who don’t win could receive the $500 Virginia and Frank Misselhorn Memorial Scholarship instead. Through the American Society for Industrial Security (ASIS), the Jeff Greipp Secure Your Future Scholarships are awarded annually to cover full tuition for 10 students pursuing a bachelor’s or master’s degree from the College of Security and Criminal Justice at the University of Phoenix. Both on-campus and online students studying criminal justice, cyber security, justice administration, homeland security, and security management are eligible. Applicants must meet all UOPX admission requirements and maintain good standing. In honor of his 24-year career as Scott County Sheriff, the John Dennis Scholarship Fund is awarded by the Missouri Sheriffs’ Association to grant $1,000 to college-bound Missouri high school seniors intending to major in any criminal justice field, including homeland security. For consideration, applicants must attend college in-state, demonstrate financial need, carry a minimum GPA of 2.0, be active in extra-curricular activities, and have a good reference from their high school counselor. Also created by the Lint Center for National Security Studies, the Major James W. Dennehy Esq. Scholarship gives $500 annually in memory of a commissioned officer of the United States Army Reserves who died in 2011 at age 47. Eligible recipients are emerging leaders majoring in homeland security, counterintelligence, military studies, or international affairs full-time at an accredited U.S. higher learning institution. Funds can cover tuition and fees for classes only. Administered by the Association of Former Intelligence Officers (AFIO), the Life’s Choices Foundation offers two graduate homeland security scholarships annually for $3,500 apiece. Eligible candidates should be U.S. citizens who are currently serving as personnel in government agencies compromising the intelligence community and entering their first or second year of graduate school. Applications are evaluated based on merit, character, academic commitment, national security interests, and career ambition. LivSecure Student Scholarships are available for $1,000 to cover college tuition for students pursuing an associate’s or bachelor’s degree in law enforcement, criminal justice, law, homeland security, public safety, or another related field. Qualified recipients must be graduating high school seniors or college freshmen, be in good standing, and not be related to LivSecure staff. Applicants must write a 500-1,000 word essay describing how their future law enforcement career will make our country’s neighborhoods safer. Worth up to $20,000, the National Security Scholars Program (NSSP) is offered by the Maryland Independent College and University Association (MICUA) to help sophomores and juniors obtain their degree in national security or homeland security. Eligibility criteria requires students attend an I-Fund member college, have U.S. citizenship, carry a minimum GPA of 3.0, have completed 24 or more credits, and pass an interview. Recipients will be given a once-in-a-lifetime summer internship in the Washington DC Metro. Phi Theta Kappa bestows the Richard L. Resurreccion Public Safety Scholarship each year for $1,000 to two members enrolled in a regionally accredited associate’s degree program for criminal justice, fire science, homeland security, public administration, emergency management, or emergency medical services. Applicants must take at least six credits per term, carry a minimum GPA of 3.5, have completed at least 50 percent of degree coursework, demonstrate potential for involvement in public safety. The Secure Indiana Scholarship Program awards one $2,000 scholarship in each of the state’s nine Congressional districts to students obtaining a full-time bachelor’s degree in homeland security, emergency management, law enforcement, or criminal justice. Eligible candidates must attend an in-state college, achieve a GPA of 2.8 or higher, take at least 12 credits per semester, volunteer at a public safety organization, and write a minimum 500-word essay discussing why homeland security is important. Annually, the Thurgood Marshall Scholarship Award is gifted for $2,000 by the National Association of Blacks in Criminal Justice (NABCJ) to undergraduate minority students earning a degree in criminal justice, law enforcement, homeland security, or another related major. For selection, candidates must attend an accredited senior U.S. college, carry a minimum collegiate GPA of 3.0, be actively involved in community service, and exhibit financial need on tax forms. Named for a fallen Special Agent with the Department of Homeland Security (DHS), the Victoria Ovis Memorial Scholarship is awarded for $2,500 by the National Law Enforcement and Firefighters Children’s Foundation to the children of police officers or firefighters. Qualified candidates must live in New York, attend an accredited college, be pursuing a bachelor’s degree full-time, and have a minimum cumulative GPA of 2.7. Priority is given to anyone studying criminal justice, homeland security, or law enforcement. Since 2009, the Women in Federal Law Enforcement (WIFLE) Inc. has hosted an Annual Scholarship Program to bestow $1,500 upon student members earning accredited four-year bachelor’s degrees in criminal justice, law enforcement, homeland security, public safety, or other related social sciences. Eligible applicants must be at least sophomores, attend U.S. colleges, obtain a minimum GPA of 3.0, show active involvement in volunteer work, demonstrate career potential, and be sponsored by police officials. Homeland security is an exciting profession that draws people from all walks of life, but most need at least some post-secondary education. Federal agencies like the DHS often require special agents to hold a bachelor’s degree. Even though college tuition is rising, there are scholarship opportunities to reduce your out-of-pocket expenses. Scholarships are more preferable than loans because they won’t need to be repaid and can be renewed without accruing debt. Eliminate any financial obstacles to your dream of protecting Americans by applying for these scholarships for homeland security majors.